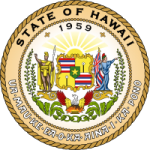 In Hawaii, state law requires that the court promulgate child support guidelines to be used by the family court, the Child Support Enforcement Agency and the Office of Child Support when crafting child support orders. The guidelines use a formula which takes into account each parent’s income and the needs of each child who are subjects of the child support order. There are a number of factors considered, including income, unemployment, health insurance costs, education costs, and child care costs. In addition, the guidelines outline extraordinary circumstances that can be taken into account if the need arises.